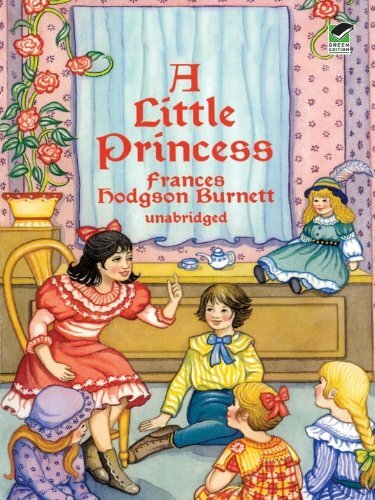 A Little Princess is a 1905 children's novel by Frances Hodgson Burnett. It is a revised and expanded version of Burnett's 1888 serialized novel entitled Sara Crewe: or, What Happened at Miss Minchin's Boarding School, which was published in St. Nicholas Magazine. According to Burnett, she had been composing a play based on the story when she found out a lot of characters she had missed. The publisher asked her to publish a new, revised story of the novella, producing the novel. Lady of Quality is the last Regency romance novel written by Georgette Heyer. It was first published in 1972 and was the last of her novels to be published during her lifetime. The story describes the romantic relationship between Annis Wychwood, a wealthy spinster, and Oliver Carleton, a rake who cares little for society's opinion of him. The two meet while jointly supervising Carleton's ward, Lucilla. Heyer granted her heroine a level of independence that was rare in Regency times and rare for Heyer's novels. Although the hero's personality is similar to many of Heyer's other heroes, in a departure from romance novel convention he experienced little personal growth in the novel; his primary change was to accept that he would like to have a wife. Heyer frequently highlights the heroine's many masculine qualities, which include a fierce independence and a disregard for social mores. Modern literary critics have noted that the relationship between the protagonists is modeled on . . .